KIEV, Ukraine (JTA) — The police station on Stefan Bandera Street in Lviv used to be just another government building to Dmitry Flekman. But that changed earlier this month following a nine-hour interrogation by two detectives, who were accused of torturing and humiliating the 29-year-old Jewish businessman. It’s an incident that some see as indicative of rising nationalism and anti-Semitism in Ukraine. Flekman’s ordeal began Oct. 1, when the officers arrested him on his way back from the bank. At the police station, Flekman says, the officers tried to extort $10,000 from him. Ukrainian authorities have not named either detective. Anti-Semitic assaults are rare in Ukraine. But the severity of Flekman’s beating and its timing — just days before a violent nationalist march and a major conference on fighting anti-Semitism, both in Kiev — underline the growing vulnerability of the Jewish community in a country riven by a cultural and linguistic divide and beset by growing nationalism. Dmitry Flekman claims he was assaulted by two Ukrainian policemen in Lviv who tried to extort money from him. Lviv is considered the cultural capital of western Ukraine, a Ukrainian-speaking region that was part of Poland before World War II and is the locus of much of the country’s nationalist and xenophobic sentiment. Jews primarily reside in the Russian-speaking East. The precursor to the ultranationalist Svoboda party was founded in Lviv in the 1990s, and the city remains a hotbed of support. Svoboda, whose leaders routinely use anti-Semitic slogans and refer to Jews as “kikes,” entered parliament for the first time last year, winning 10 percent of the vote to become the country’s fourth largest party. The party won 38 percent of the vote in Lviv, compared to only 17 percent in Kiev. 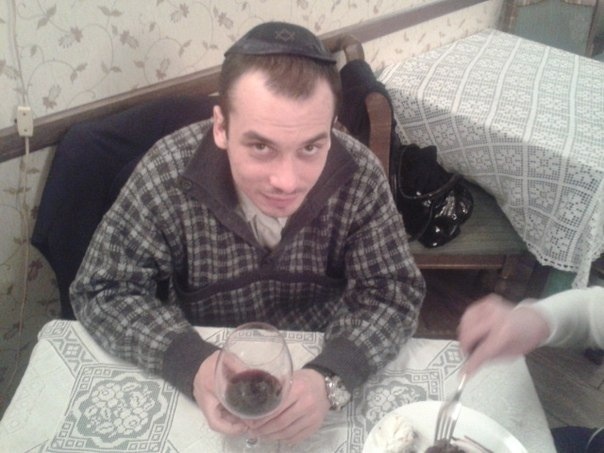 Oleksandr Feldman, a member of parliament and president of the Ukrainian Jewish Committee, declined to comment on the Flekman case, but he acknowledged that Jews feel increasingly targeted by nationalists emboldened by Svoboda’s success. “Even if Svoboda is not perpetrating the attacks, their activities strengthen the anti-Semitic sentiments we are trying to counter,” Feldman said. Last week, Feldman organized a conference in Kiev to commemorate the 100th anniversary of the acquittal of Mendel Beilis, a Jew that czarist authorities tried to frame for the “ritual murder” of a Christian child. Hundreds of local and foreign dignitaries listened as speakers related the history of anti-Semitic blood libels. Ukrainian Vice Prime Minister Oleksandr Vilkul said at the conference that the country has made “huge progress in safeguarding minority rights.” But some critics charge that Ukraine hasn’t done nearly enough to combat anti-Semitism. Efraim Zuroff, who heads the Simon Wiesenthal Center’s Jerusalem office, said the street where Flekman was assaulted, named for the nationalist Ukrainian politician Bandera, is a reminder that Ukraine refuses to fully confront the lessons of history. The center has protested the honoring of Bandera, whose troops are believed to have killed thousands of Jews when they were allies of the Nazis in 1941. But little progress has been made, as many Ukrainians consider Bandera a hero because he fought Russian communists in a failed effort to prevent the country’s annexation by the Soviet Union. “Glorification of Nazis and extremist nationalism is part of an atmosphere that affects Jews on the ground,” Zuroff said. Even as guests were convening for the conference, Svoboda was organizing its annual Oct. 14 march honoring Bandera. The march had become an important date for neo-Nazis since Svoboda started organizing it in 2005. This year, the march featured masked men who clashed with communist protesters in several violent scuffles in Kiev. Such activity has been part of a wider rise of far-right nationalist parties throughout Central and Eastern Europe in recent years. Hungary’s Jobbik party and Golden Dawn in Greece have adopted anti-Semitic imagery and slogans as part of their wider resistance to ethnic minorities and the encroaching authority of the European Union. But historic animosity between Ukrainian nationalists and like-minded groups in nearby countries have created unexpected setbacks for Svoboda’s efforts to forge alliances with other nationalist groups. As a result, Svoboda has become increasingly isolated from pan-European alliances in which Jobbik is active.